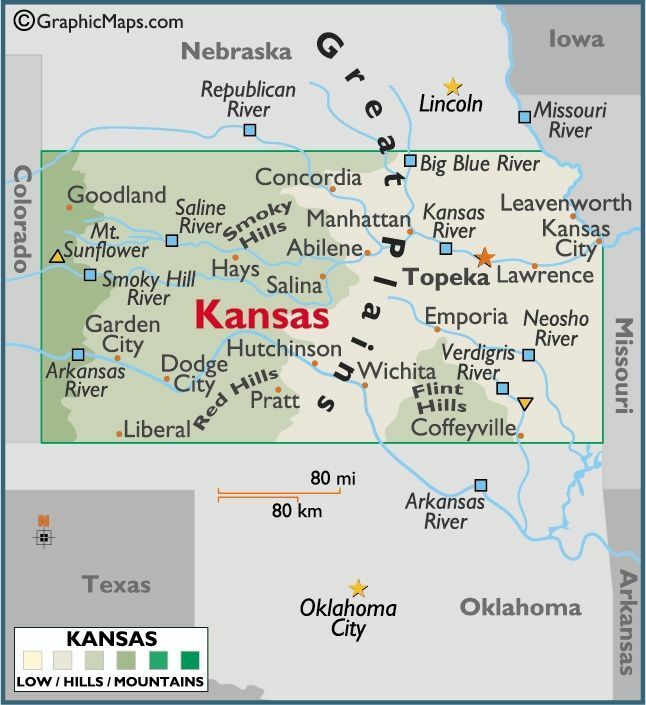 Kansas is admitted as the 34th state of the USA. On this day in 1861, Kansas is admitted to the Union as free state. It was the 34th state tojoin the Union. The struggle between pro- and anti-slave forces in Kansas was a major factor in the eruption of the Civil War. In 1854, Kansas and Nebraska were organized as territories with popular sovereignty (popular vote) to decide the issue of slavery. There was really no debate over the issue in Nebraska, as the territory was filled with settlers from the Midwest, where there was no slavery. In Kansas, the situation was much different. Although most of the settlers were anti-slave or abolitionists, there were many pro-slave Missourians lurking just over the border. When residents in the territory voted on the issue, many fraudulent votes were cast from Missouri. This triggered the massive violence that earned the area the name “Bleeding Kansas.” Both sides committed atrocities, and the fighting over the issue of slavery was a preview of the Civil War. Kansas remained one of the most important political questions throughout the 1850s. Each side drafted constitutions, but the anti-slave faction eventually gained the upper hand. Kansas entered the Union as a free state; however,the conflict over slaveryinthe statecontinued into the Civil War. Kansas was the scene of some of the most brutal acts of violence during the war. One extreme example was the sacking of Lawrence in 1863, when pro-slave forces murdered nearly 200 men and burned the anti-slave town. This entry was posted in Uncategorized and tagged 1861, 29 January, Kansas by admin. Bookmark the permalink.